Audi put some serious work into the S3’s facelift. 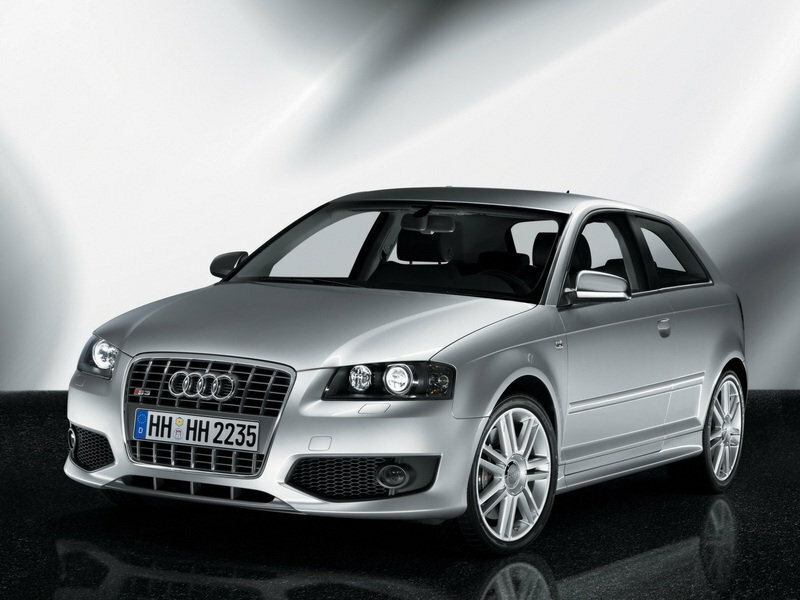 The Audi S3 is the German automaker's premium performance compact version of the A3 hatchback. 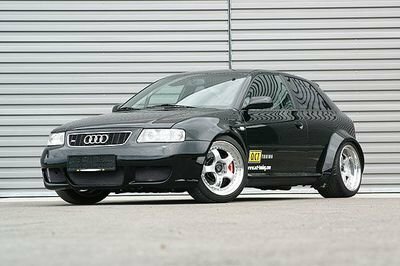 The original 1999 Euro only model was powered by a tuned 225 HP 1.8T 20v four cylinder equipped with Quattro all wheel drive accelerating from 0 to 60 MPH in 6.6 seconds and reaching a top speed of 151 MPH. 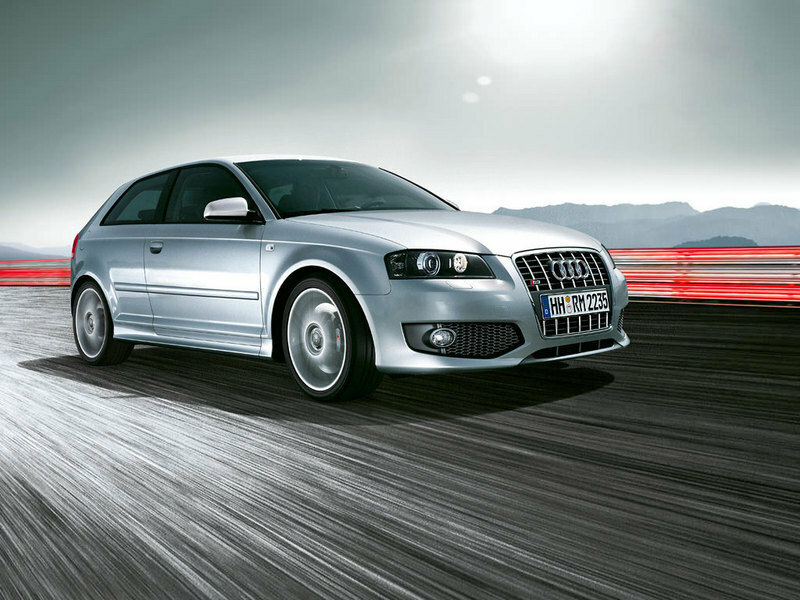 Along with new bodywork, in 2006 the S3 became a 2.0 TFSI making 260 HP and now going from 0 to 60 MPH in 5.5 seconds while being electronically limited to a 155 MPH top speed. 2015 brought us many new models from Audi, including redesigned versions of the A4, Q7, and R8, and it seems that 2016 will also be packed with new releases from the four-ringed automaker. Having already launched the redesigned R8 Spyder at the 2016 New York Auto Show, Audi took the wraps of the facelifted A3 family, which includes a hatchback, sedan, and cabriolet and their respective performance-oriented versions. 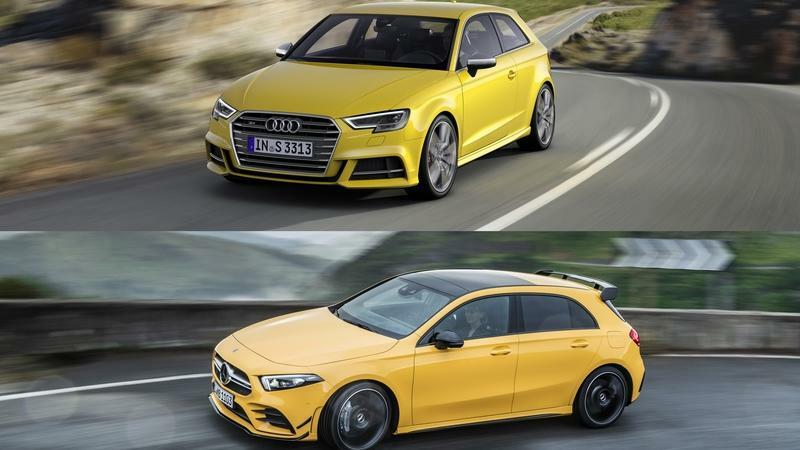 In this article we will focus on the hatchback version of the S3, which is available in both three- and five-door body styles. 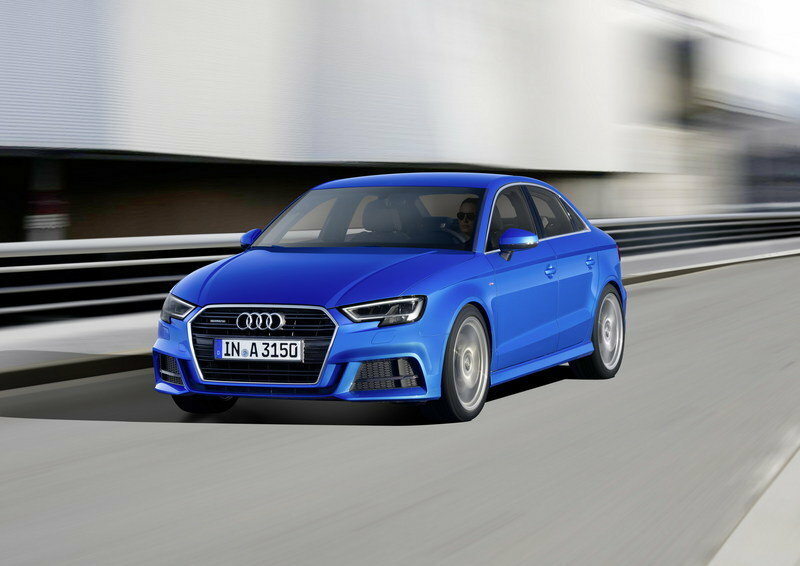 Like the rest of the A3 family, the S3 Sportback gained a redesigned front fascia that includes Audi’s new styling language, an updated rear end, enhanced technology, and a slightly more powerful drivetrain. In other words, we’re dealing with a regular facelift created with one thought in mind: keep the car fresh until the next-generation model arrives. The bad news is that the S3 Sportback won’t cross the pond to the U.S. for now, where Audi doesn’t sell the A3 hatch or any of its derivatives. However, if you’re on the market for a performance-oriented compact Audi will be happy to sell you the S3 sedan or S3 convertible. If a hatchback is what you need, you will have to look somewhere else. Be that as it may, let’s have a closer look at the S3 Sportback and find out how the new compact stacks up against other performance hatchbacks. Updated 04/07/2016: Audi dropped the official details on the revised A3 family, including the 2017 S3 three- and five-doors hatchback versions. Continue reading to learn more about the 2017 Audi S3. But the Audi S3 is a familiar name that’s been around for a lot longer than A35, but then again, until 2017 there was no S3 sedan, so the formula is fairly new. These cars really couldn’t be better matched - it’s clear that the two manufacturers were studying one another while they were developing these two models. 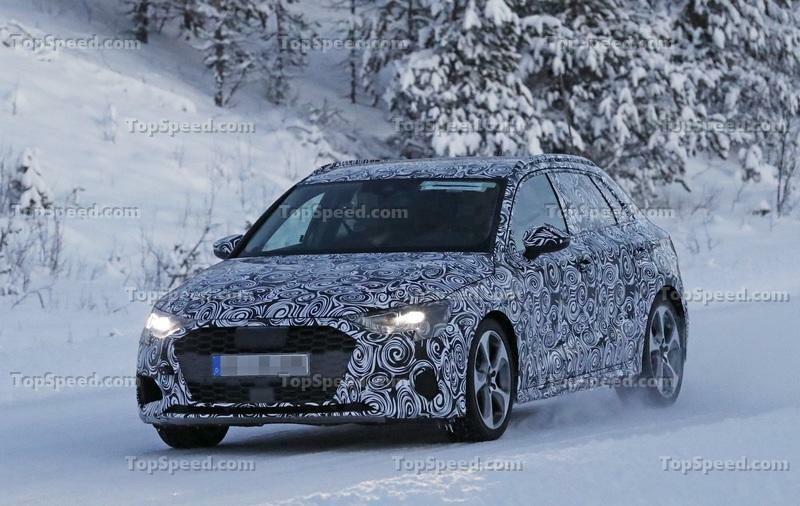 Audi is in the final stages of testing and refining its upcoming A3 hatchback, as well as the hot S3 version of it. It’s not clear when the new S3 may debut, but it will probably be at a major motor show sometime in 2019 - we’ve heard rumors that Audi is ditching the three-door model and will only sell its hatch as either a five-door or sedan. The model, in true Audi fashion, looks like an evolution of the current model, and the only real giveaway that the vehicle spotted by our spies is the spiced up S3 is the fact that it has those quad exhausts in the back; it also looks as if its fenders are wider than what we saw in previous spy shots of the regular A3, but we can’t say for sure due to the use of psychedelic camo. Power for the next S3 will most likely come from a development of the same four-cylinder turbo that motivates the current model which may get a modest horsepower increase. Electrification of some kind is not out of the question either, as Audi has announced its commitment to bringing it more models - maybe even performance models. The 2017 Audi S3 may not draw a lot of unnecessary attention to itself, but don’t be mistaken: Underneath its understated design is a spicy little number that is among the best-driving compact sedans on the market, bar none. With 292 horsepower from its TFSI turbocharged four-cylinder engine and the handling prowess of Quattro all-wheel drive, the 2017 Audi S3 is a riot on curvy roads. It’s also adept at munching miles on interstate highways, particularly if you’re not hauling a carload of passengers. If you live in the U.S., and you want a quick, luxurious sedan with four rings on the nose, the options are plentiful. However, add compactness to that list of requirements, and there’s really only one way to go – the S3. With a high-performance engine and tighter handling than the more laidback A3 equivalent, the S3 is only bested by the head-expanding RS3 when it comes to Audi’s small-dimension lineup. Unfortunately, that’s forbidden fruit if you live stateside, leaving the S3 as the obvious choice. Audi just released details on the model’s latest facelift, and although the specs are specific to Europe, they should inform our expectations on what’ll arrive on these shores in the not-too-distant future. Highlights include slightly modified exterior styling, the addition of Audi’s virtual cockpit, new driver assistance tech, and a little more output under the hood. The S3 came to America for the 2015 model year, and although it feels a bit like a consolation prize, it should have what it takes to satisfy all but the most demanding of performance enthusiasts. 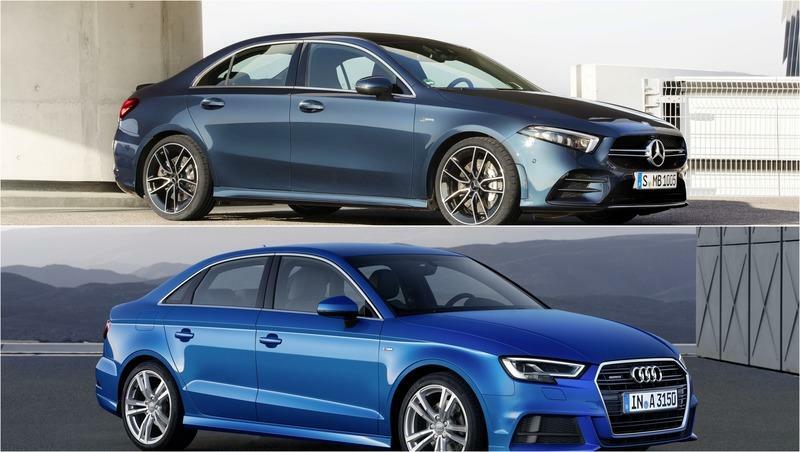 But with highly appealing competition coming from both BMW and Mercedes, how does the new S3 sedan stack up? Updated 08/11/2016: Audi announced U.S. prices for the 2017 S3 sedan which will be put on sale later this year. U.S. customers will have to choose between two trim levels: Premium Plus and Prestige. Continue reading to learn more about the 2017 Audi S3 Sedan. Here in the U.S., we would love to get our hands on the Audi RS3, but for one reason or another, we just aren’t worthy of such greatness. Instead, we have to settle for lesser compact models from Audi. Sure there is the A3, but that’s a little too bland for some of us, which is why we were so excited when the S3 came to the States for 2015. The S3 entered its third generation in 2013, which means the 2017 model year is about the right time for a mid-cycle update and update Audi did. That last sentence may influence you to think there are some radical changes to talk about, and in some ways there are, but for the most part, the updates were pretty mild. We do have some new technology to talk about, some new safety features, and even some drivetrain upgrades that will keep us happy until Audi can enlighten us with a fourth-generation model. Furthermore, most of the front end has been updated to bring a sleeker and sexier looking cabriolet to the masses. For now, we’ve only seen the European specifications for the updated S3, but it should give us a good idea of what will be coming to U.S. shores, if the cabriolet actually makes it here. With competition like the BMW M235i lurking in the waters, Audi has some pretty stiff competition to keep up with. 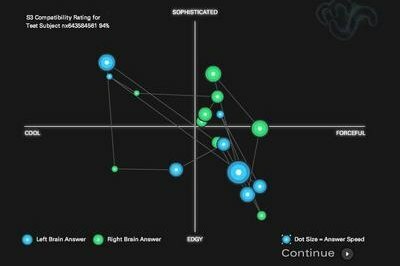 Do this new updates bring enough to the table to satisfy consumers enough to draw them toward the four rings? Well, let’s take a look and see. Continue reading to learn more about the 2017 Audi S3 Cabriolet. The new Audi S3 is an amazing little sports sedan, but sitting in the same showroom as cars like the R8, TT, RS 5 and RS 7, it’s easy to see how this car could easily be overlooked. In hopes of creating a little more awareness for the 292-horsepower pocket-rocket, Audi has just announced the S3 Exclusive Edition with bespoke touches inside and out. In the naming of the 2015 Audi S3 Exclusive Edition, Audi is only signifying that the car has been given a thorough once over from Audi Exclusive (the brand’s in-house team that allows customers to personalize just about any car), but it is truly an exclusive vehicle. 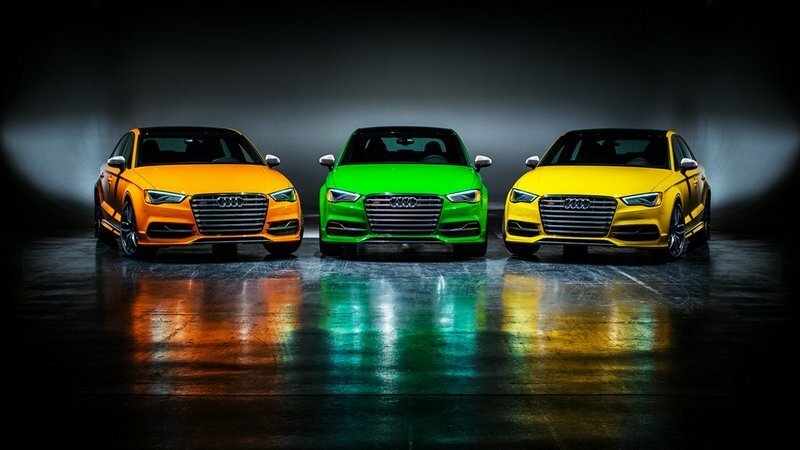 The S3 Exclusive Edition will only be built in five paint colors, and each color will be limited to just five units – do the math and that means just 25 of these flashy sedans will be making their way to the U.S.
Of the five colors, three (Vegas Yellow, Viper Green and Glut Orange) are only available on the S3 Exclusive Edition, while the other two (Sepang Blue and Misano Red) are carried over from the standard S3’s color palette. The colors are sure to get these cars noticed, but it’s the other upgrades that make these cars so special. 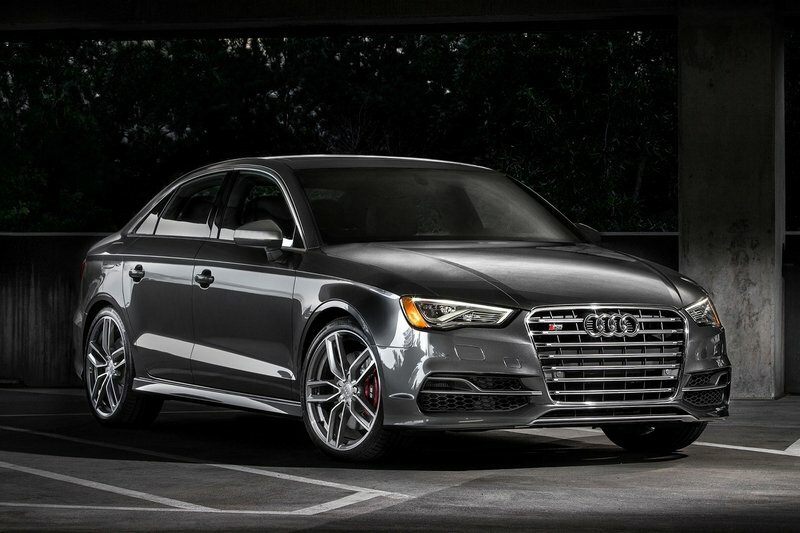 The S3 sedan is arguably the most under-appreciated sports sedan in the Audi lineup. Granted, it’s the smallest of its kind there so some people will overlook it. But do so at your own peril. The S3 is a mean sedan that’ll surprise you the first chance it gets, more so now that Audi’s preparing to release the S3 Limited Edition. Unfortunately, Audi gets no points for naming creativity, although I don’t think it cares a lot about that. What it does care about is personalizing the model to make it stand out and it did just that with this set of limited S3s. The German automaker will build only 350 examples of the S3 Limited Edition so it does live up to its name. Buyers lucky enough to score one of the 350 models will receive a specially prepared model that features a bevy of cosmetic and performance upgrades on the exterior and interior, making the model worth its name. Audi hasn’t divulged details on when the car will be sold or how much it’s going to go for, but I’ll venture a guess that it’ll hit U.S. dealerships sooner than later with an estimated price tag well north of the $41,100 base price. The Audi S3 is powered by a 2.0-liter TFSI four-cylinder engine that produces 296 horsepower and 280 pound-feet of torque, and mates to an S-tronic transmission. 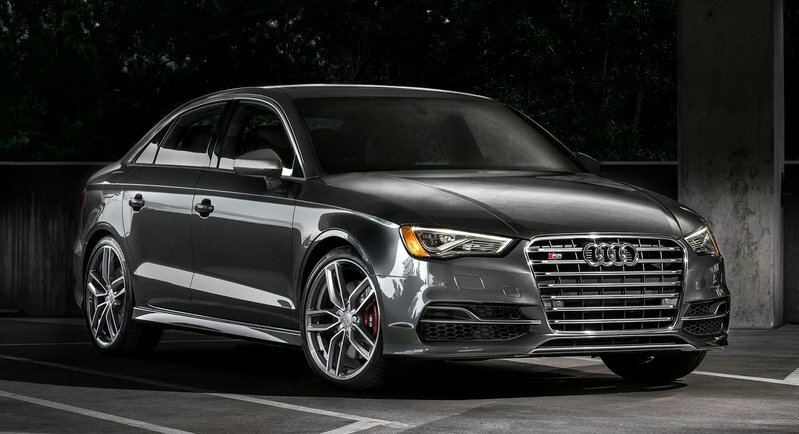 The S3 is capable of hitting 60 mph in just 4.9 seconds and has an electronically limited top speed of 155 mph. Click past the jump to read more about the 2015 Audi S3 Limited Edition. 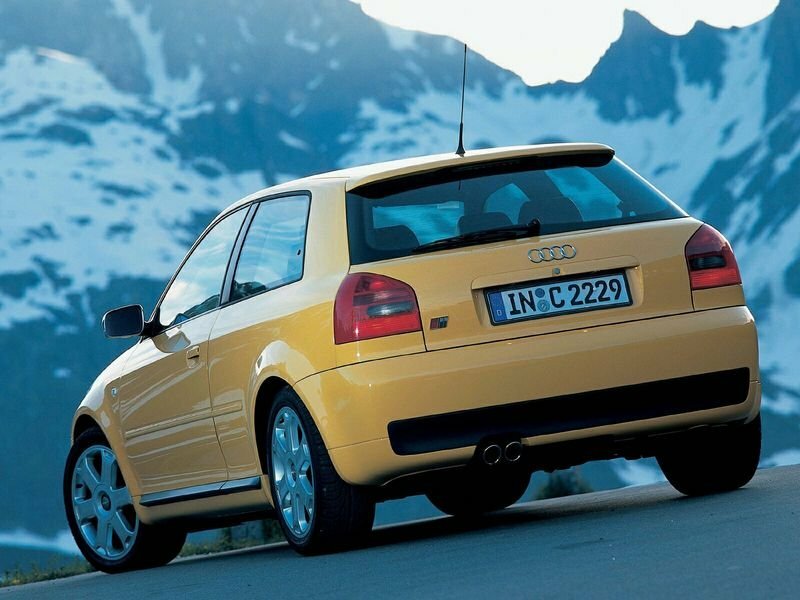 Audi S3 Could Get Manual Transmission in the U.S. There appears to be hope that Audi is strongly considering a manual transmission option for an upcoming S3. The news comes by way of Fouritude, an Audi-enthusiast website, that attended a celebratory dinner held in honor the Audi Club of North America’s recent 30th anniversary. Speaking at the event were several personalities that included Allan McNish, John Hindhaugh, and Audi of America President Scott Keogh. During the event, Hindhaugh, the famous Le Mans radio announcer, interviewed Keogh on stage. Hindhaugh asked specifically about manual transmissions in Audi’s future. Keogh began by laying out the costs associated with adding model complexity and how that affects vehicle cost and dealership availability. Nevertheless, Keogh says Audi is looking very closely at adding a manual transmission to the S3. At this point, it’s not set in stone, but the possibility is still present. Adding more to the mix of possibilities is the RS3 sedan. Keogh continued the same speak about Audi North America looking strongly at it. However, this isn’t the first time Keogh has mentioned the RS3 sedan. He said similar words back at the 2014 New York Auto Show, leading us to believe the RS3 might already be in development. Perhaps it will come with a manual transmission. While both of these scenarios are still just rumors, the fact the president of Audi North America is talking about the subject with more than some “we don’t talk about future products” garble is promising. Click past the jump to read more about the Audi S3. A mysterious Audi S3 was recently spotted doing some test runs at the Nurburgring and from the looks of things, it just might be the rumored Audi S3 Plus. Why do I have this hypothesis? For one, the new Audi S3 is already out on the market and it seems unlikely that Audi’s already developing a new one. It’s also not likely to be the Audi RS3 because the body doesn’t veer too far from, if at all, the look of the new S3. So with those two cars out of the way, that leaves us with the possibility of a diesel-powered S3, but the sound of that engine isn’t very diesel-like. As an educated guess, I would say this is the S3 Plus, a car that’s been rumored to be in the works for quite some time now. 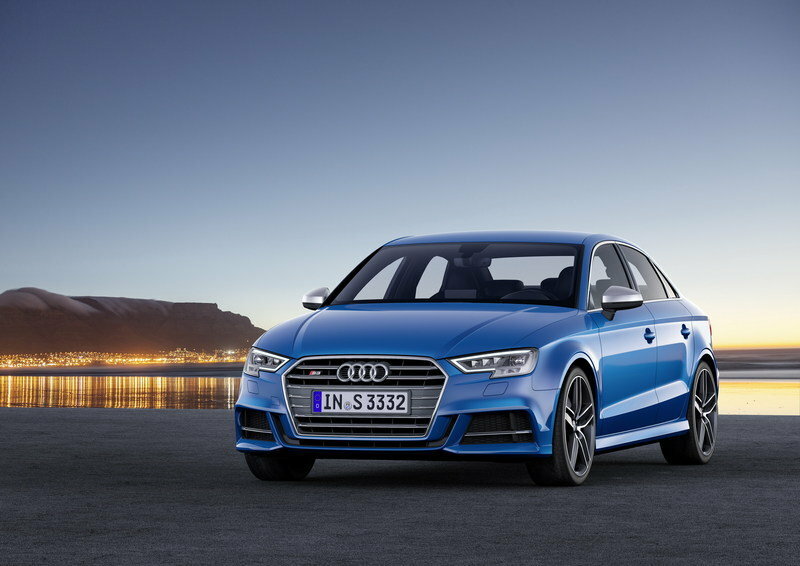 The S3 Plus has been touted as Audi’s response to the emergence of the Mercedes CLA45 AMG. Word has it that Audi is planning to use a modified version of its 2.0-liter, TFSI engine in the S3 Plus with an output of 375 horsepower and 368 pound-feet of torque. That should make it easy for Audi to package it between the new S3 and the upcoming RS3, giving customers an option to choose from in the event they want a performance version of the S3 without the cost that comes with paying for an RS3. I had once the privilege of driving a buddy’s Audi S3. It was a few years ago and while my memory’s admittedly hazy of the circumstances behind it, I do remember feeling a little woozy after that encounter. The S3’s a powerful little sucker that much I can tell you. I can only imagine how the S3 would feel like with this aftermarket program from MTM on the table. The German tuner has a history of bringing out the best in Audis. Whether its the A1 or the R8, there’s probably an MTM program for it. This time, though, it’s the S3 that takes the spotlight, thanks to a measured tuning upgrade that doesn’t pull any punches. Don’t expect any aesthetic improvements here. MTM built the program with power and efficiency in mind so it’s all meat, bones, and all that dirty stuff under the hood. The good news is that the tuner’s kit will be available across all variants of the S3. Whether it’s the saloon, cabriolet, sportback, there’s enough MTM love to go around. All together, an MTM-tuned Audi S3 will cost €62,000, which is about $83,000 based on the exchange rates on 8/4/2014. The kit itself retails for €13,000 ($17,400) so you can have the choice of paying just for that, or for the entire thing, S3 included. Click past the jump to read more about the Audi S3 2.0 TFSI quattro By MTM. 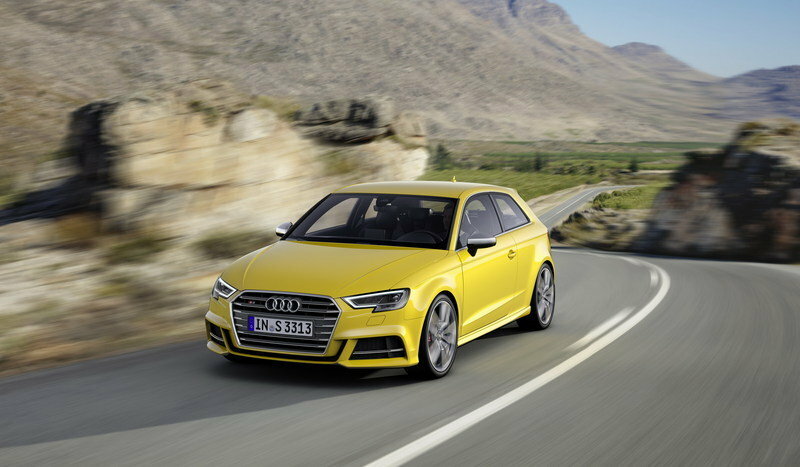 Audi has finally pulled the covers off of the new Audi A3 Sedan and with it, the German automaker also introduced its S-variant, the equally new S3 Sedan. Oh joy. Scheduled to meet the world at the New York Auto Show, the new S3 is already getting quite the attention from a lot of people in large part because Audi hasn’t had a small sports sedan in its line-up in a long time. So you can say that the new S3 has a lot of expectations attached to it, in large part because you can never have enough people clamoring for a German sports sedan that they can actually afford. Mercedes went ahead and revealed the CLA-Class earlier this year, so it was only the right time for Audi to join the German sports sedan party in America. There’s a sentence we never thought we’d write. If you’ve been waiting for this day to come, well, wait no longer because details of the new Audi S3 Sedan can be found after the jump. Updated 06/19/2014: Audi announced today prices for the 2015 S3 sedan set to go on sale late summer of this year. Prices will start from $41,100. Take a small peak at Audi’s entire lineup and it’s easy to get entranced by all the options that are before you. But even with all of its high-grade models, Audi’s S3 sedan is one of those rare models that offer a nice blend of luxury, sportiness, and performance. That’s probably the biggest reason why ABT Sportsline chose the S3 for its latest aftermarket program. Combining healthy doses of aerodynamic and performance upgrades, ABT Sportsline took the task of turning up the volume on the S3 sedan’s capabilities, and in the process unleashing the sports saloon’s full potential. Countless other aftermarket tuners have built their own aftermarket interpretations for the S3. It’s just that this new project from ABT Sportsline leaves you wondering why people consider those other options when turning to this particular tuner will net you every modification you could ever want for the S3. 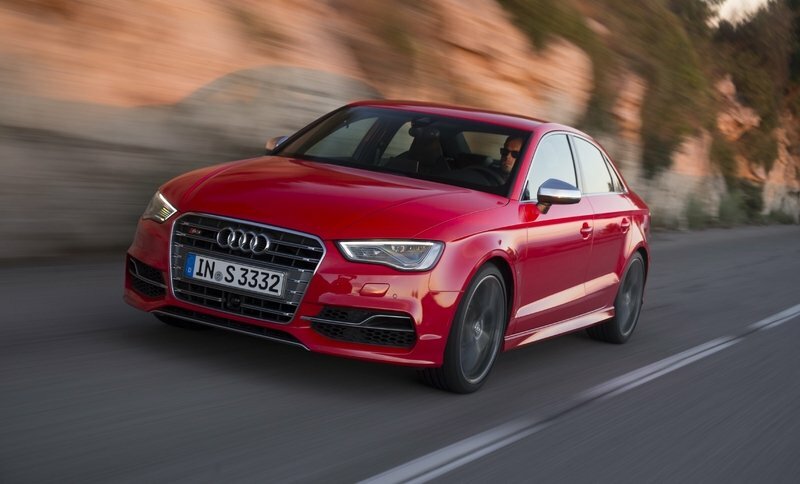 Click past the jump to read more about the 2014 Audi S3 Sedan By ABT Sportsline. The fact that Audi is working on a brand-new RS3 model ever since the third-generation A3 was unveiled in 2012 is no longer a secret, but the details around the high-performance compact are still under wraps. And the same goes for the production version that was spotted testing recently. The vehicle in question is a Sportback version of the RS3 and, judging by the photos we’ve just received, the five-door has received a more aggressive front bumper with large air intakes and the company’s fresh headlamps and taillights. Also notable when compared to the previous model are the wider fenders and a dual-exhaust configuration instead of the familiar twin setup. What’s more, the exhaust tips appear to have been embedded in the rear bumper, whereas the preceding RS3 Sportback had them mounted below the piece, in the diffuser-like skirt. While these exterior tweaks are in line with the updates added to the new A3 and pretty much expected, the RS3 might hide something completely different under the hood. Click past the jump to read more about the Audi RS3. Today joining the list of manufacturers who have showcased their cars ahead of the official release in Geneva is Audi with the S3 Cabriolet. 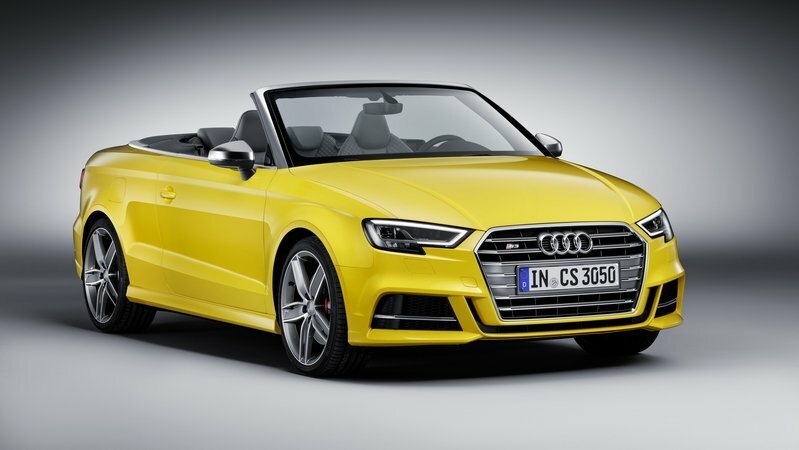 The S3 Cabriolet is the Ingolstadt-based manufacturer’s attempt at creating a new convertible for everyday use with a slightly insane engine, and the automaker has succeeded. 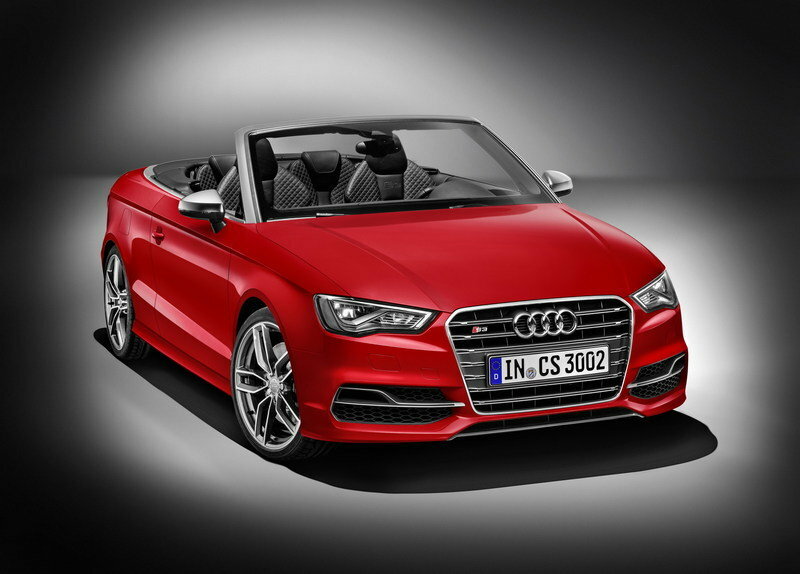 With prices announced and delivery of the S3 cabriolet expected to begin this summer in Germany, the new Audi convertible, with it’s high power and relatively low cost, will certainly act as a high volume generator for the German car maker. As of now, we do not have any news of the new convertible arriving to the U.S. shores soon but still we welcome the new entrant as it creates a new segment where we will hope to soon see more challengers. 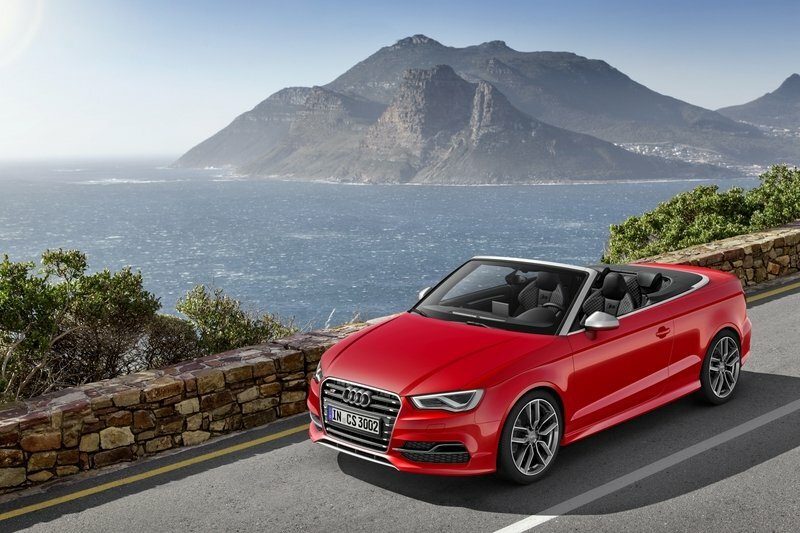 Click past the jump to read all that you need to know about the Audi S3 Cabriolet. The latest Plus models Audi added to its lineup — the TT-RS Plus and RS3 Plus — have both enjoyed some success, so the German automaker decided to treat another model to the Plus package. The next model to receive this treatment is the S3. Initial rumors about the model suggest it will be offered with a new four-cylinder turbo engine currently under development by Volkswagen Group. This new engine is rumored to deliver about 375 horsepower and 368 pound-feet of torque, and will put the upcoming S3 Plus between the standard S3 and the upcoming RS3. Audi officials said that this new engine comes as a response to the 2.0-liter, four-cylinder engine offered by small Mercedes models. like the A45 AMG and CLA45 AMG. Of course, do not expect this new engine to be used only in the S3 Plus, as rumors suggest Volkswagen will also place this engine in the upcoming Scirocco and a new Golf R Evo, which is rumored to be unveiled in April at the Beijing Motor Show. The rumblings in the industry lead us to believe that the new Audi S3 Plus will be unveiled by the end of the year. 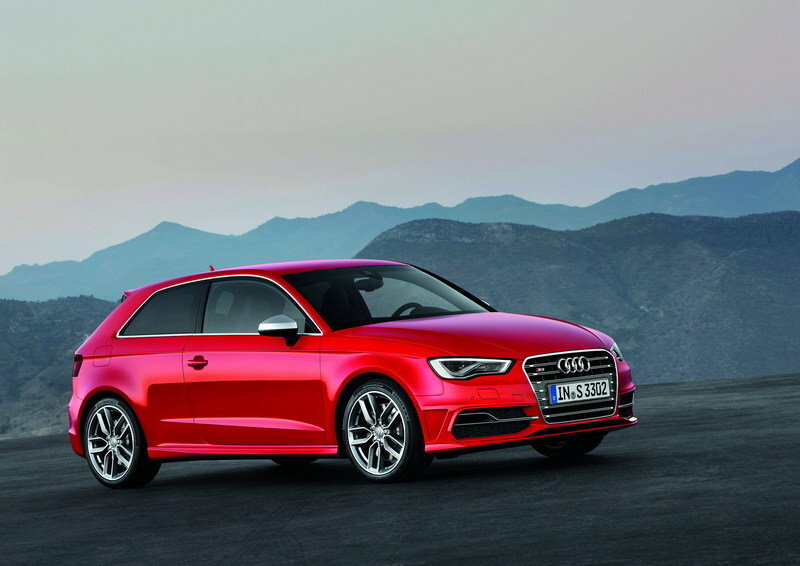 Click past the jump to read more about the 2015 Audi S3 Plus. *Image Note: The above image is of the current S3, not the S3 Plus. 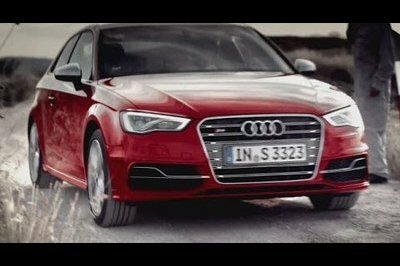 Audi unveiled a new promotional video that puts head to head classic and modern technology: the current S3 sports sedan versus the 1983 Audi Sport quattro. The two models were driven by Stig Blomqvist in the Audi Sport quattro and Hermann Müller in the Audi S3, and the test took place on the old rally track in San Remo. 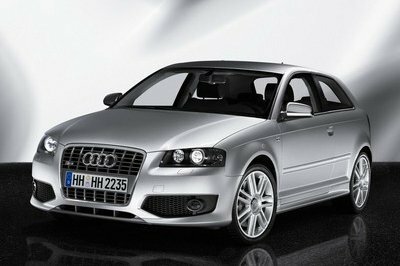 As a reminder, the 2013 S3 is powered by a 2.0-liter TFSI four-cylinder engine that develops 300 horsepower and 280 pound-feet of torque. It goes from 0 to 60 mph in 5.1 seconds and up to a top speed of 155 mph. The Sport Quattro used a 2.1-liter engine rated at 306 horsepower in the road-going version and 444 horsepower in the race version. Check out the video to see these cars duke it out. Can you guess which car won? You would think that the Audi S3, the company’s performance-oriented version of the A3, already has enough power under its hood to satisfy some customers. While that may be true for some, others would want some extra juice, or in this case 70 horsepower’s worth. That’s where ABT Sportsline comes into the picture. The German tuning firm has become one of the foremost Audi tuners in the world, and its latest take on the S3 just goes to show that the possibilities are endless if you know what you’re doing. There aren’t a lot of aerodynamic changes done to the S3, as far as this program is concerned, but there’s always room for improvement on the performance front. ABT did so by installing its own ECU unit, jumping the power of the S3 Coupe to an impressive 370 horsepower and 339 pound-feet of torque. That’s a serious improvement from the standard 300-horsepower and 280 pound-feet of torque output of the standard S3 Coupe. With this, ABT slashed five-tenths of a second off of the S3’s 0-to-60 mph time, now hitting it at 4.6 seconds to go with a top speed of 165 mph. With all the attention paid on the engine upgrade, it’s important to note that ABT also offering a new set of wheels for the S3 , with sizes ranging from 18 to 20 inches, as well as new fender inserts that ABT says underscores the car’s dynamic character. With ABT, who are we to disagree. 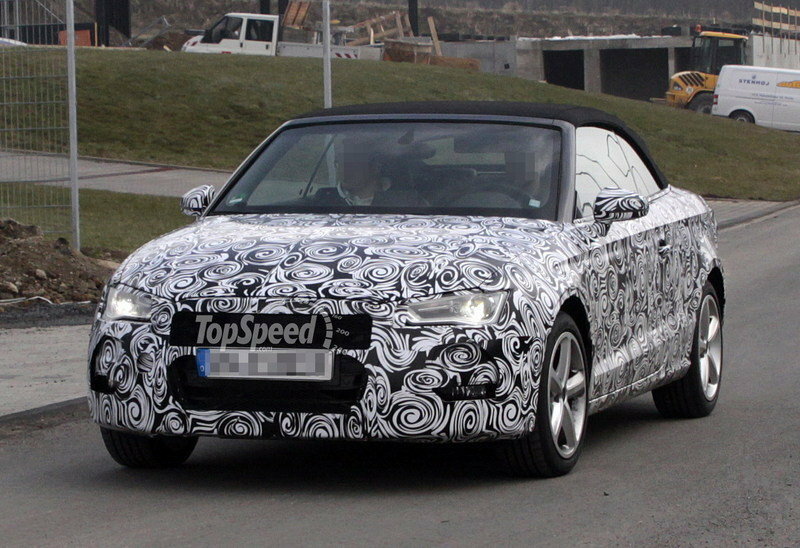 The next-generationAudi A3 Convertible was caught testing for the first time back in January and now we get to see the car in action again. This time, Audi engineers were caught driving it around in Germany. As these new spy shots reveal, the next A3/S3 Convertible looks like a little brother to the A5 Convertible - a smart decision made by Audi considering the current generation is not the prettiest in its class. The new A3 Convertible will be based on the A3 sedan set to be unveiled in just two days at the 2013 New York Auto Show, minus a pair of doors of course. Rumors suggest that the future A3 Convertible will be offered with one TDI and two TFSI engines, with power ranging from 122 to 180 horsepower, while the S3 version goes up to 300 horsepower. Up to this point there are no indications on whether Audi will offer a RS3 Convertible or not. 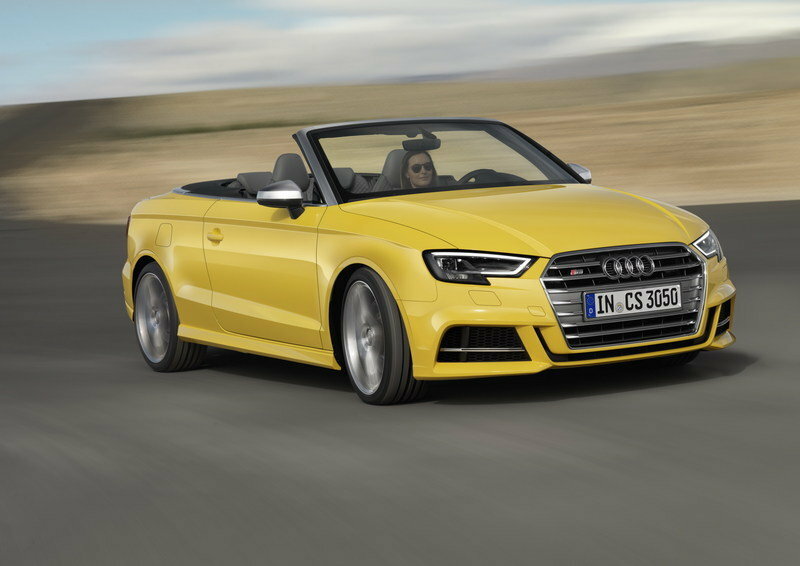 Expect the new Audi A3 Convertible to arrive later in September at the Frankfurt Motor Show. In an attempt to keep us busy until theconvertible version will finally join the S3 lineup, Audi has unveiled the initial details on the Sportback version - a model set to make its world debut at the 2013 Geneva Motor Show. What’s the difference between this and the standard S3? Well, the number of doors of course: the new Sportback has four doors and offers increased space for families while maintaining its sporty nature. Except for the extra doors, the new Sportback version will pretty much remain identical to its three-door brother, meaning that customers will continue to enjoy the same performance numbers. You’ll have to consider that as the new Sportback is a little bit heavier, the 0 to 60 mph sprint will take 0.1 seconds longer. Talking about weight, Audi managed to shave an impressive 154 pounds from the car total weight - when compared to previous generation. This result has been achieved by using weight-saving materials like an ultra-high-strength steel passenger cell and light aluminum wings and bonnet. Hit the jump to learn full details on the new Audi S3 Sportback. Shortly after Audi unveiled new generation A3 hatchback at the 2012 Geneva Motor it has been rumored that a convertible version will arrive in just a few months time. If until now all we had were rumors, today our spy photographers have caught the car testing for the very first time. To make it even better this is not just the standard A3 Convertible, but the even more powerful S3. The new generation A3 Convertible will be based on the A3 sedan version we have caught testing the other weeks, meaning that it will be a little bit prettier than the current generation: you should imagine something like a smaller A5 Convertible. In fact this is a move everyone expected, considering the current generation A3 Convertible is not the prettiest thing we have seen. 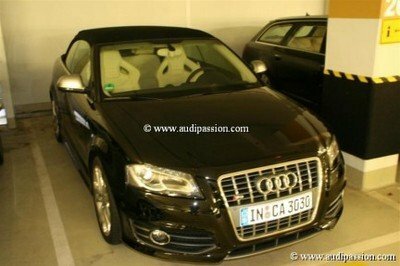 Expect the new Audi S3 Convertible to be unveiled at the end of 2013, most likely in Frankfurt. There will probably come a day when 1,000-horsepower cars are the norm rather than the exception, but that day is still far away. When a car reaches four-digit ponies these days, it’s going to get serious attention. In that light, we’d like to introduce you to this Audi S3 that’s been tuned by TS Racing. This race car that not only packs an aerodynamic kit, but it was tuned specifically for racing purposes. The kit includes a front splitter, modified bumpers, a rear diffuser, extended wheel arches, and a roof-mounted scoop. In addition, TS Racing stripped the car’s interior to its bare essentials and replaced them with a slew of new components like a carbon fiber dashboard, a full-scale roll cage, racing seats, new instrumentation, and a custom shifter. 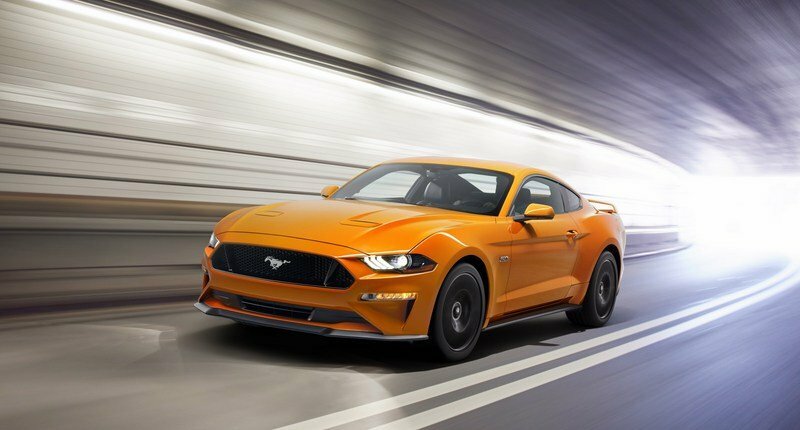 All that being said, what makes this S3 such a spectacular piece of racing machinery is its 2.5-liter five-cylinder engine that has been completely overhauled and modified to produce an astonishing 1,074 horsepower and 853 pound-feet of torque. 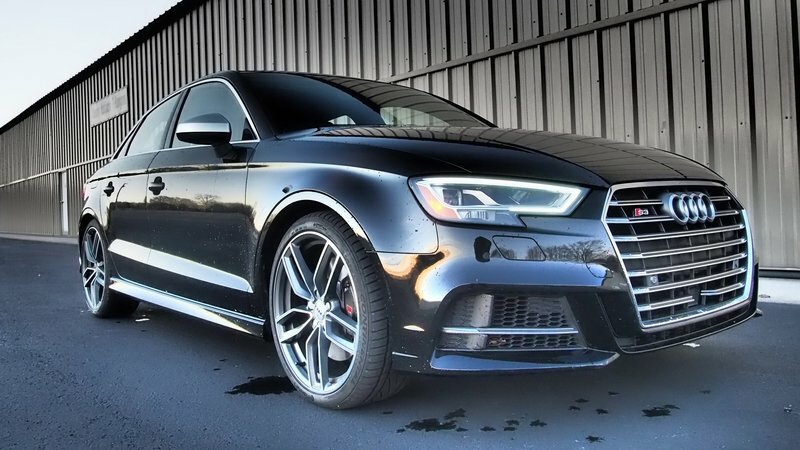 1,000-plus horsepower on a car is already impressive enough, but putting that much output on an S3 is even more impressive. Check out this video of the rocket S3 courtesy of Hesleskaug as the car blows away the Audi VW Club Norwegens annual meet on Vålerbanen in Norway. Audi is speeding up their unveiling process by releasing details on a second model just one day after revealing the A3 Sportback. 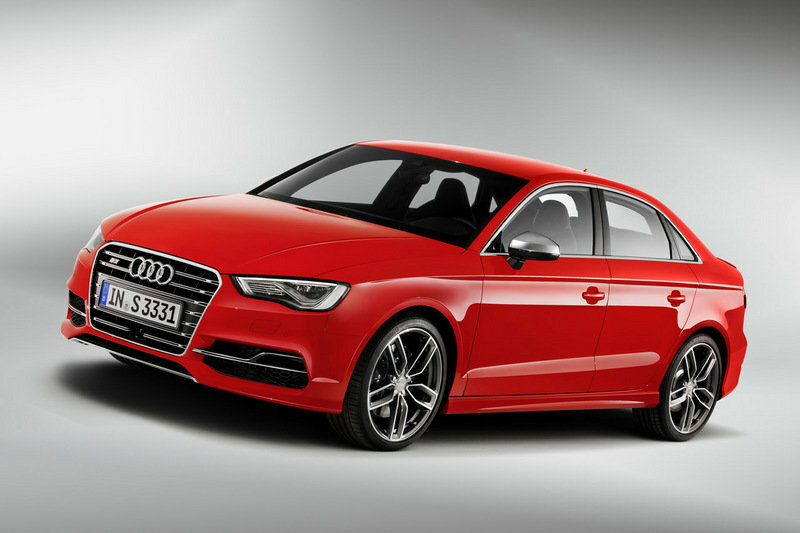 It’s the S3 version’s turn to shine as it joins the Sportback at the 2012 Paris Auto Show. The quicker version of the A3 will go on sale early in 2013 at a starting price of €38,900, or about $51,800 at the current exchange rates (price for Germany). The Audi S3 is powered by a 2.0 TFSI turbocharged four-cylinder engine that delivers a total of 300 HP and 280 lb-ft of torque. This power is enough to sprint the car from 0 to 60 mph in 5.1 seconds and up to a top speed of 155 mph. 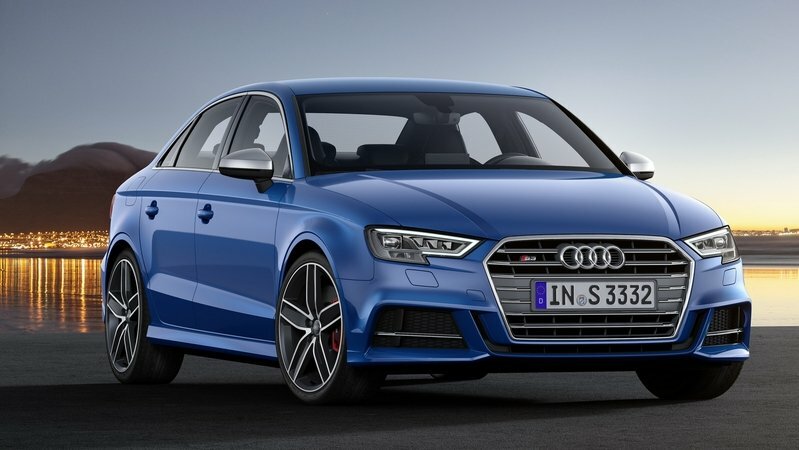 In terms of design, the new S3 looks a lot like the A3, except it has added elements like an S single-frame grille, a revised front bumper, new side skirts, aluminum-look mirror caps, a new exhaust system with quad tailpipes, a roof spoiler, and a different rear bumper. These elements differentiate the S3 from the A3, unless of course you add the S-Line package to the A3, which would then make them look almost identical. UPDATE 09/21/2012: This review has been updated with the official details and images for the new Audi S3. 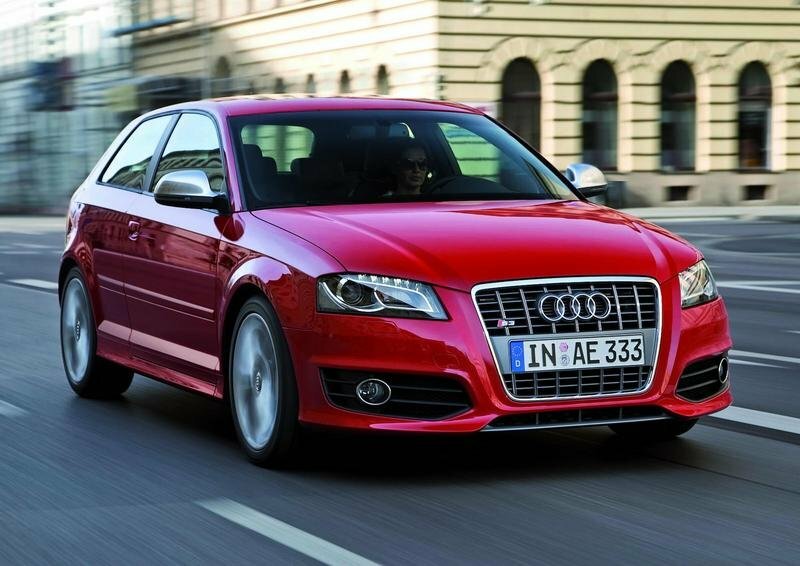 Hit the jump to read more about the 2013 Audi S3. When the heat of summer comes, you can expect a lot of things to happen. People will be coming out of their houses adhering to the time-tested adage "less is more". That’s right, goodbye to those long winter coats, those almost-knee-high boots, and most of all: layers! And as is the case with summer, tank tops and shorts aren’t the only things people bring out when the sun is bright and shiny. At this time of the year, you can also expect cars to roll around with their tops down. After all, isn’t that the best way to enjoy a nice little ride out to town during the summer? 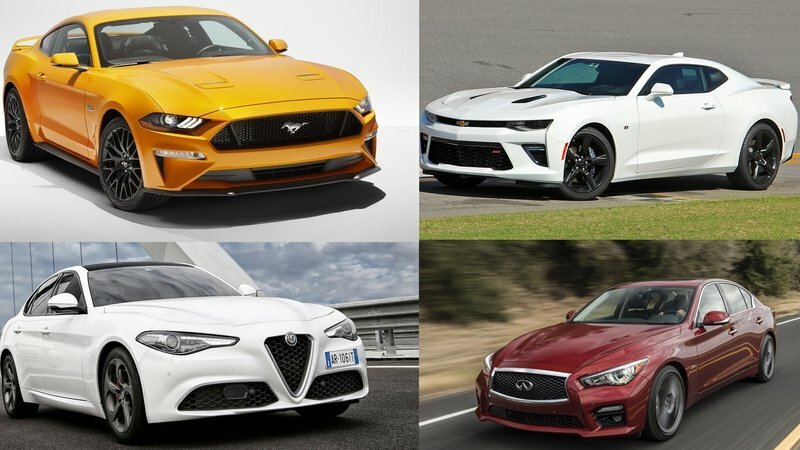 That being said, ABT Sportsline is gearing up for the season with a new line-up of convertibles that will surely pique the curiosities of those in the market for a new car to flaunt during the summer. And if you’re one of them, you can check out these Audi Abt convertibles - there’s an ABT S3 Cabrio, an ABT S5 Cabrio, and of course, the R8 V10 Spyder - to satiate your convertible appetite because nothing spells out summer more than riding in a top-down convertible with the wind blowing in your face. MR Car Design feels that they can do the the Audi S3 one better with a few well thought out changes that takes the all wheel drive turbocharged sport compact from a hot hatch to a tasteful tuner car. By putting in the extra effort both inside and out, MR Car Design makes the 2.0 TFSI four banger even more powerful before wrapping the entire car in a matte black suit and then fitting it with a proper set of running shoes. The MR Stage III performance package starts off with a full exhaust beginning with a wider diameter downpipe to get the spent gasses out of the turbo as easily as possible and ends in a hand crafted sport tuned silencer with high flowing components in between. A larger intercooler is then installed to handle the added boost that comes with the reprogrammed ECU. The kit is good for a total of 337 HP and 332 lb-ft of torque, not bad considering that you don’t have to crack open the engine at any point, and easily get almost 80 HP with only a handful of bolt ons. Instead of going with a full re spray, MR Car Design decided to wrap the Quattro hatchback with a complete matt foliation from Cover EFX. The darker look adds to the S3’s aggressive appearance, and by going with a vinyl style wrap MR has saved themselves hours upon hours of prep work and then time in a costly spray booth. All you need to do for a complete color change is a clean car, a few square yards of vinyl and some patience. But still, there is no paint clean up, and not to mention that it looks outstanding next to the 19 inch hyper black Emotion Wheels. Ensuring that the Audi sport compact has the legs to keep up with its new heart, MR Car Design installed a KW V3 coil over suspension, Stoptech big brake kit and then shod the S3 with a set of 235 series Dunlop Sportmaxx rubber. Ok, for the record, they aren’t officially-sanctioned police cruisers making a routine check at the Nurburgring. But they sure look believable, don’t they? 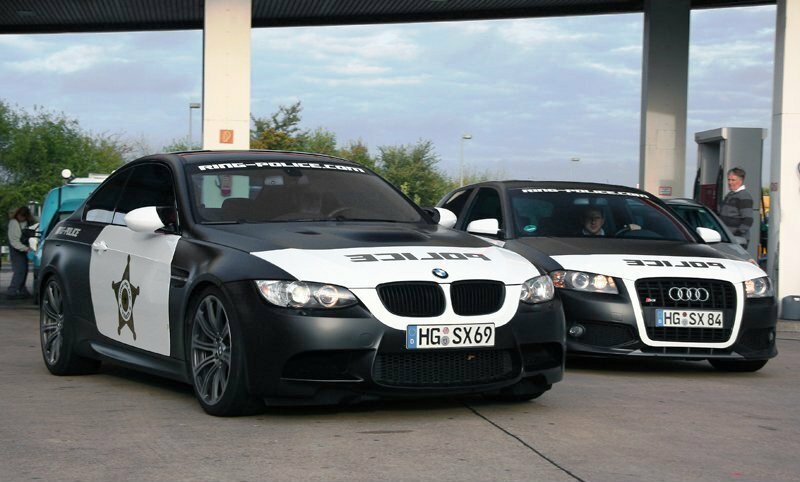 A pair of vehicles – a BMW M3 Coupe and an Audi S3, to be exact – was recently spotted at the ‘Ring sporting some pretty intimidating police wraps. From what we’ve heard, these two cars are owned by civilians that are part of a group called the ‘Ring-Police’. We don’t know a good deal about these guys, but judging from the website stickered on the two cars’ rear bumpers, it looks the Ring-Police is a group of custom tuners that have been getting quite the following in Germany. Photo courtesy of Martijn Mezger. The Sweeds over at O.CT Tuning have just come up with the Boehler Concept BS3. Based on an Audi S3 quattro every aspect of this vehicle has been modified enhancing its looks, speed and handling. Starting in the engine bay the Boehler Concept was given an O.CT Stage 3 kit. The kit consists of a reprogrammed ECU, a larger intercooler to handle the added boost; a new intake system and a sport exhaust system to expel the spent gasses. All this is good for 328 HP and one full second off the 0-60 MPH time. A stock S3 has 261 HP and goes from 0-60 MPH in 5.5 seconds. All this performance is dressed up by a host of carbon fiber add-ons for the engine, battery and air intake. The Boehler Concept sits on a fully adjustable O.CT coil-over suspension, with KW springs, that help it negotiate curves. Stopping power is provided by 8 piston calipers clamping onto 372 mm rotors up for fade free braking. The aero kit was designed by Swiss stylists Color Concept Boehler. The wider fenders allow for massive forged 20 inch MÖZ-Wheels, they are 9 inches wide in the front and 10 inches in the back, wrapped with Yokohama Advan Sport tires. The rear bumper includes functional down force enhancing fins and frames the giant quad tips that exit out the back of the O.CT stainless steel sports exhaust. The Boehler Concept BS3 will have a limited production run of only 100 vehicles costing around $87,500 USD (67,000 Euros). At the moment there is no word about any of these tuned Audi’s reaching U.S. soil. Then again, we don’t even have any standard S3s sold here. THE GOOD NEWS: Audi’s hottest hatch just got a little hotter for those who don’t know how to shift. 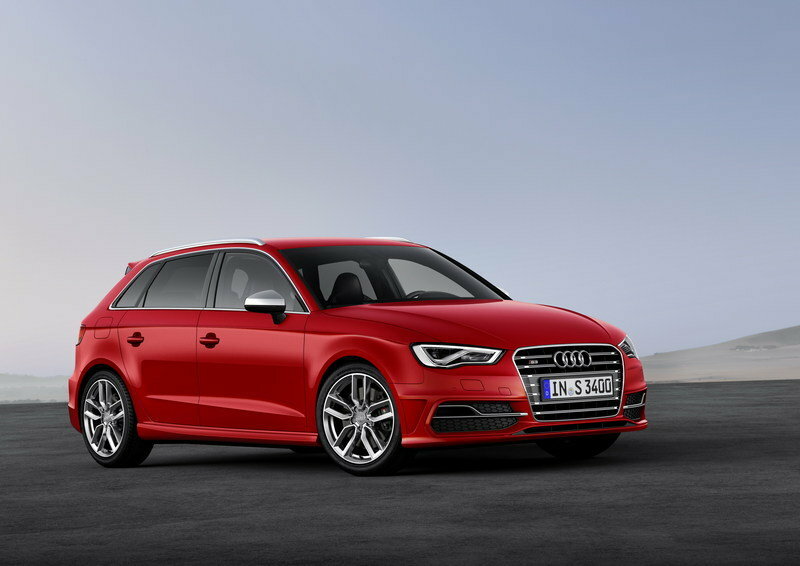 Starting today, the S3 and the S3 Sportback will both be offered with the S-tronic dual-clutch transmission. 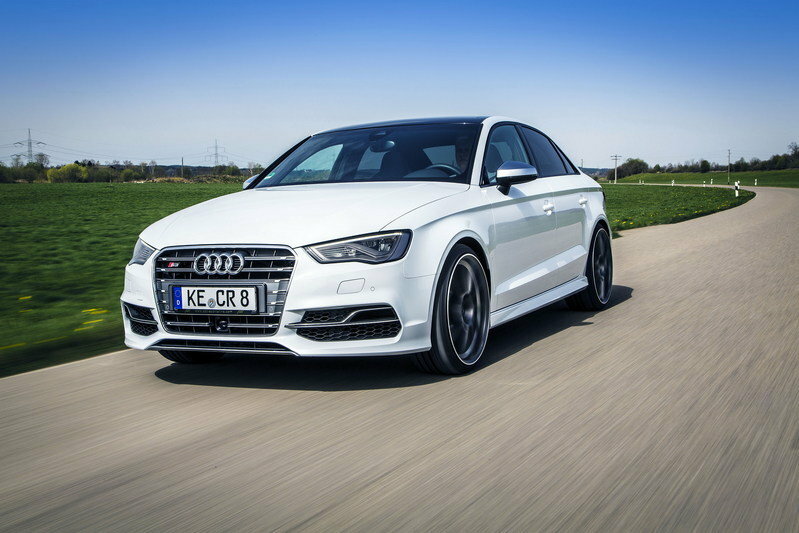 0 to 60 have improved to 5.5 seconds for the S3 and 5.6 seconds for the Sportback (five-door). THE BAD NEWS: Audi doesn’t offer the S3 or any of its variations in North America. 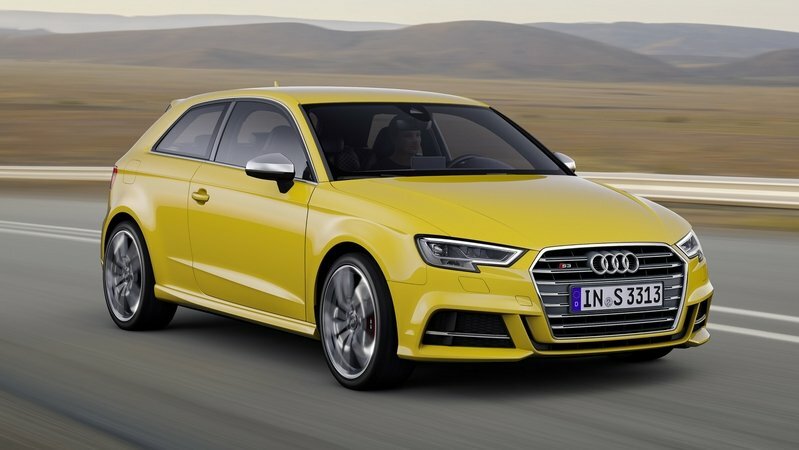 THE REASON THE BAD NEWS ISN’T SO BAD: Audi doesn’t sell the S3 in the States because of the fear that it will cannibalize sales from cars like the Volkswagen Golf R32, which is already offered with the DSG dual-clutch transmission (same as Audi’s S-tronic). But more you have to hurry the final supply of this batch ofR32s is starting to dry up. The hottest little Audi may be losing its top. Audi Passion caught the S3 open top in the parking lot below the Audi AG headquarters. The spy photos show an interesting detail: the presence of dual exchange clutch S-Tronic, so far not available for the smallest of S. No word yet if the S3 will make it to the U.S. in any form. The Audi S3 got into full conversion process which resulted into a brand new vehicle from outside to inside. The drivetrain was transferred to the back of the car which led to an ideal weight distribution of 50% to 50% between front and rear. The new model is powered by a 2.7L V6 twin-turbo engine taken from the Audi RS4, capable to deliver an astonishing 550hp. The performance is even higher due to the massively bodywork and larger front and rear bumpers. In the interior the changes continue with the carbon-fiber trim in the doors. Also the seats and the pedals were positioned further to the left and right respectively due to the big engine and STW-derived X-Trac race transmission which needed a larger and wider center console. The car also features a removable steering wheel which can be used as an instrument to tame the savage O.CT S3. A digital stack display ensures that all information in regards to vital engine stats are showed. O.CT, an Austrian tuning specialized in German cars unveiled their latest masterpiece: an Audi S3 with 550 hp. Maybe you’re wondering how this power was obtained, right? Well, according to the tuner, the Audi received a RS4 B5 2.7l biturbo engine modified in order to obtain the astonishing 550 hp. The vehicle received major update like a completely new interior, simplified in order to loose some weight, an adjustable suspension system, improved brakes and new expanded fenders. Unfortunately we couldn’t find anything about the performances of the vehicle but judging the improvements the sprint from 0-100 km/h could easily be made in less than 4 seconds. It looks like MTM did it again! 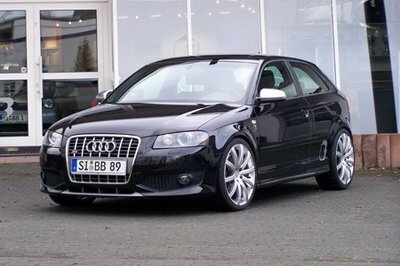 Based on the Audi S3, the tuner obtained from the 2.0 liter TFS engine an astonishing 380 hp and 460 Nm of torque. The car comes fitted with 19 inch alloy rims „bimoto" in diamond cut, titanium oder shiny and MTM Brembo brake system. As you figured the performance of the car are awesome: 0-100 km/h in under 5 seconds and a top speed of 279 km/h. No words about the price yet! The Austrian tuner O.CT Tuning has taken the Audi S3 to the next level and upgraded the car with an even sportier look as well as an extra helping of power. An extensive engine modification boosts the output of the sporty compact to 328 hp. Are you compatible with the new Audi S3? No, we are not reading the horoscope in here, but today i found one of the coolest web pages i have seen lately. It calculates your compatibility with the new Audi S3. With the new Audi S3, Sportec has taken a compact racer under its wing which is already in its standard version a quite agile machine.The engine, exhaust and chassis components newly tuned by Sportec quicken the Audi in a way to allow a peak speed of 258 km/h while the gained performance excites the appetite to literally devour the tarmac during spontaneous bursts of speed. Everyone was excited when the Audi S3 was launched. And off course you saw it many time driving arround the roas, but this commercial is quite impressive. Enjoy! 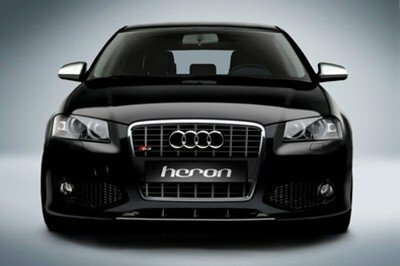 Heron took an already agile car in the sports-compact series and make it even more powerful and faster. With new components for the engine, updates at the exhaust system and at the chassis you can increase the speed of your S3 up to 165 mph. 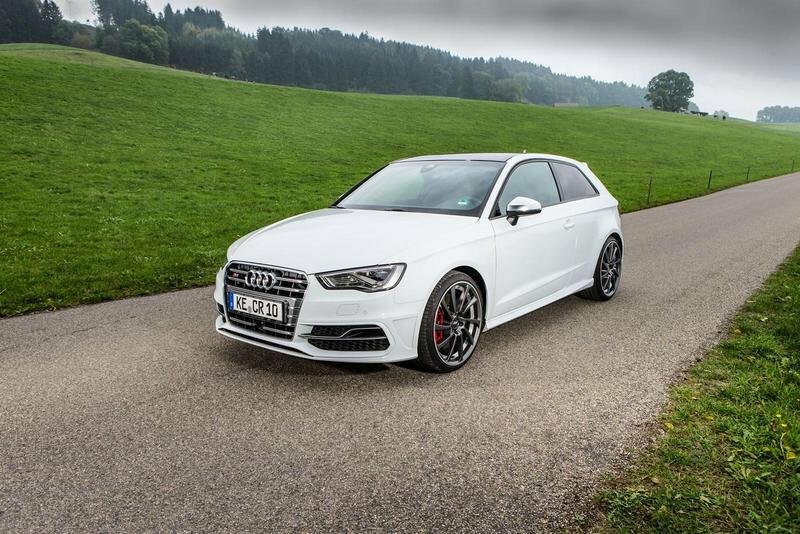 Wimmer Rennsporttechnik is increasing the horse power for the new Audi S3 up to 408 hp. Also the maximum torque is incresed from 258 lbs-ft to 398 lbs-ft. In order to increse the output, the electronics part of the engine, the injection and some engine parts have been modified. The price for the kit is $36000. Dynamism, sportiness and sophistication are the key words to define the new Audi S3, the top of the range model for the A3 series. Featuring a 265 bhp boosted version of the already known 122 cui TFSI engine (that offers only 200 bhp on the Audi A3 2.0 TFSI and Volkswagen Golf GTI) and Quattro permanent four-wheel drive the newcomer hot hatch pursues the ideal of pure driving pleasure coupled simultaneously with excellent everyday practicality - like all Audi S models. The S3 redefines the standards of its class – at the level of a sports car. The sprint to 60 mph is accomplished in 5.5 seconds, and acceleration is only halted on reaching 155 mph. Aggressively hard-hitting, free-revving and with a sonorous acoustic profile, the powerful two-litre, turbocharged four-cylinder unit with FSI petrol direct injection proves to be a smooth, high-performance engine. The sports version of the A3 will be launched in autumn this year. It will be equipped with a 2,0 TFSi engine deliver 260 HP. The new S3 has all wheel drive and can be distinguished from the A3 by its different and sportier front end, large alloy wheels and two exhaust pipes. While waiting for officail pics, go create your own using audi world customizer. Audi will launch the sports version of the A3 at the end of this year. 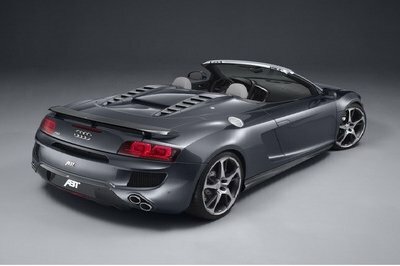 It will be equipped with a 2.0 TFSI engine, which is said to deliver 272 HP. The new S3 has all wheel drive. The photos are showing a prototype without any disguise in current cold weather testing.